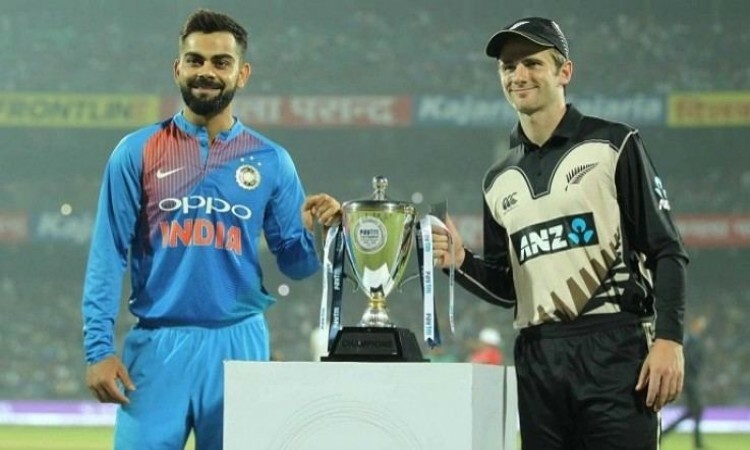 Nov.7 (CRICKETNMORE) - New Zealand skipper Kane Williamson won the toss and elected to bat in the third and final T20I against India at Greenfield International Stadium, Thiruvananthapuram on Tuesday. The match is reduced to 8 overs per side with four bowlers can now bowl two overs each. Manish Pandey and Kuldeep Yadav replaced Axar Patel and Mohammed Siraj in India's Playing XI while New Zealand made one change with Tim Southee replacing Adam Milne.